Dear Friends, Christmas is almost here, and to say that Austin and I are excited is understatement. To prepare for the big day, we've been listening to Christmas music for hours each day is an understatement. Mariah Carey definitely inspired the print above---as did my who mom performed an impressively convincing lip-sync version that I had the opportunity to experience first live via FaceTime, but I'll spare you the details on that one. Hey there!It's December, and you know what that means. Time to bust out the Christmas tree, bake some cookies and send some super cute holiday cards to everybody you love. As you know, I love me some custom lettering, and I'm crazy over Christmas, so I started making a few Christmas card designs for Austin & I to send out, and just couldn't stop! 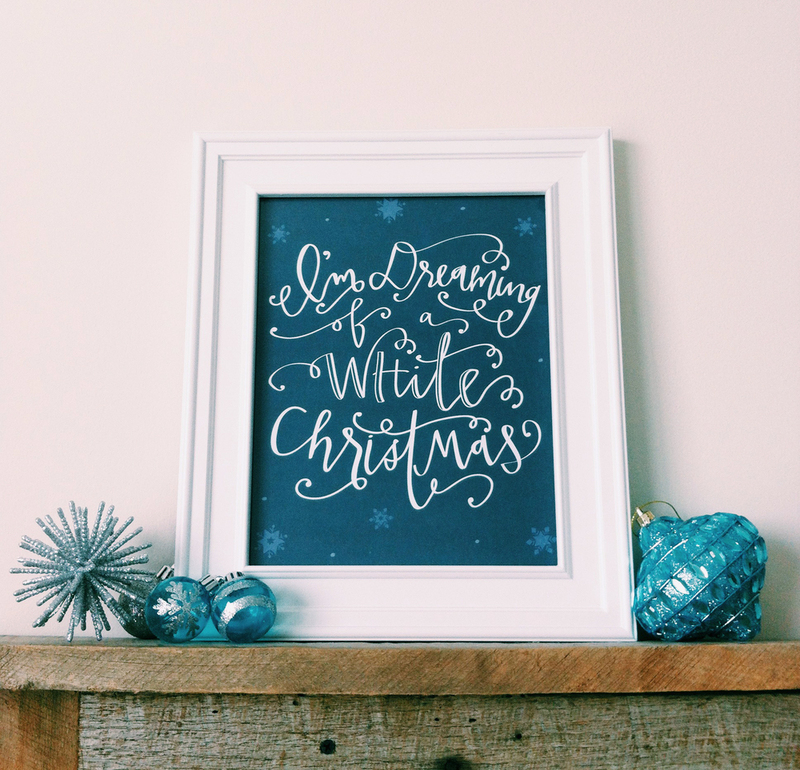 Now I'm offering custom hand-lettered cards for you and your family for $10! Just send your photo along with any other words or phrases you'd like to include on the card, and I'll send you the jpeg so you can print however you'd like. Upload the custom image to Walgreens or your local drugstore to print as a matte 5x7 print for 11 cents each! So easy! 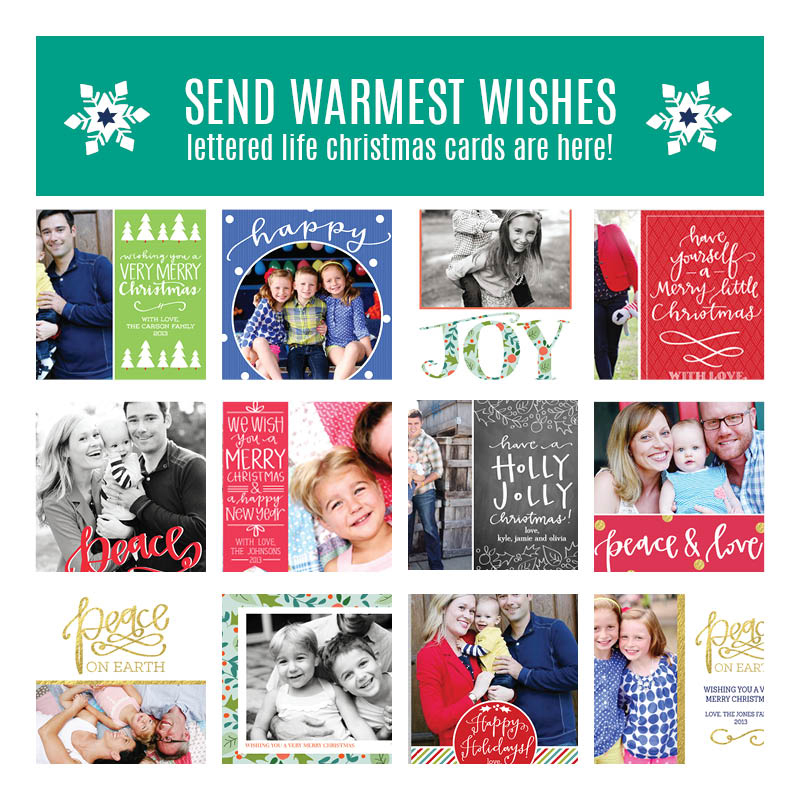 Print a your jpeg like a folded greeting card, envelopes included, through Shutterfly for $1.59 each, for 25 cards. If you're interested, check out my Etsy site to get started. I'm so excited to make the perfect card for you and hope you'll check it out!